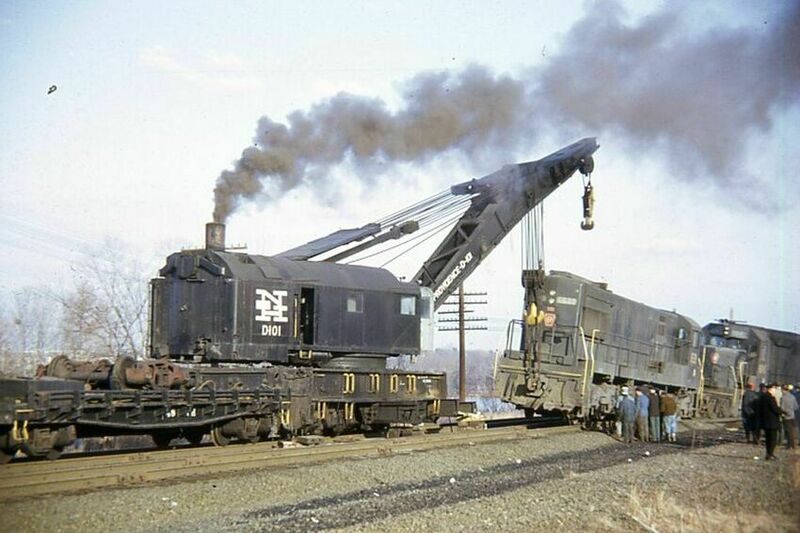 The New Haven hasn't even been in its forced marriage with the Penn Central a whole month when it has to rescue a mishap on the PC in Natick, Mass. Here she is seen rerailing the "B" end of an ex-PRR unit with much lineside supervision. Photographed by Ron DeFilippo, January 26, 1969.